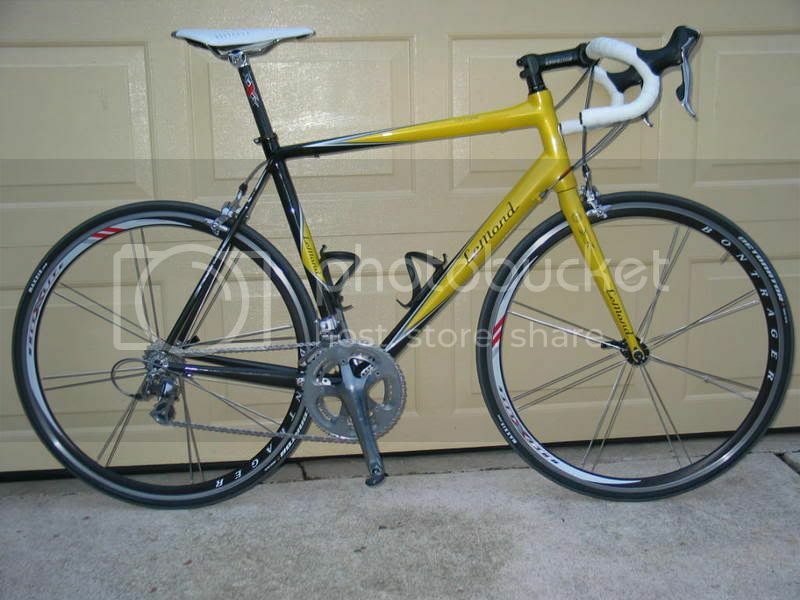 As some of you may already know, I recently acquired a new Racing Bicycle. While putting together the build for the bike I spec'd out Ritchey WCS Classic Bend handlebars as a nod to all things classic. From an aesthetic standpoint the bars are flawless; they look fabulous and give my bicycle that Look that we all desire. Fast forward to last night's Tuesday Night Race. I'm chugging along, in the drops, when I want to call up a smaller gear. I stick my finger out and flick, but nothing happens. I look down, and my index finger is nowhere near the lever. Turns out, classic bend bars don't really work with modern STI technology (at least not Shimano, and who would want to ride Campy? Crazy eccentric Italians....). I've never once had this problem on my old bike, with its Bontrager Variable Radius handlebars. Its all starting to make sense. How are you holding the drops? The flat part of the drops isn't used for anything except banging your knee into it. I don't know where else you'd hold it where you can't shift. Personally I don't like STI because I brake when I try and use the big shifter, but that's just me. Campy, Shimano, SRAM, it doesn't matter. It'll work, you just have to set it up so it does. In the drops I'm holding it right where the bend starts. Another problem might be the fact that I have massive hands. And its not that I can't reach the shifter, it just takes some effort. On my old bike with Variable Radius bars shifting from the drops never required any kind of contortion like I have to do now. I believe the LBS has some VR bars in my size, so I'll pick those up and throw them on and see if that solves the problem. I have he Bontrager VR bars, and I love them. Nice bend, and like you said, you can always get your shifts off. They're the perfect blend of ergo and classic bend bars. To me, it looks like your brifters are too far down on the bar, and you might rotate your bars up a tiny bit too. USAC rules: can "teammates" help from the sidelines?